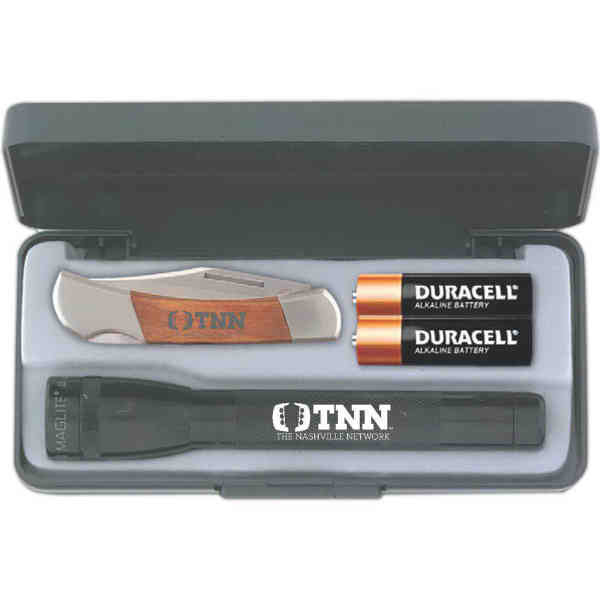 Combination set includes flashlight (5 3/4" overall length) and pocket knife. Flashlight has knurled textured barrel and spare Krypton lamp safely secured inside tail cap. Easily converts to freestanding candle mode by removing the barrel head and reinstalling it as the base. FL1 standard 14 lumens. Colors may vary. Pocket knife has 3 1/8" stainless steel handle and fine edge lockback blade. Made in USA.